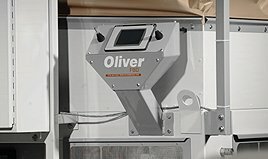 Oliver offers a full line of gravity separators and gravity tables covering 11 models in several sizes and varieties, to cover the broadest possible requirements for sizing contaminant removal. 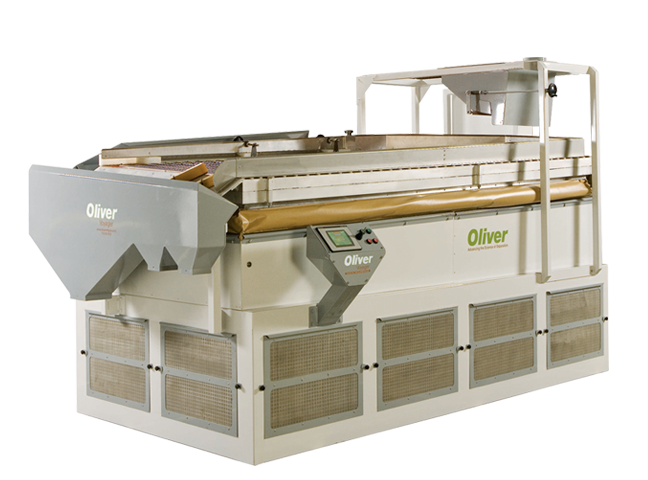 Every Oliver gravity separator is backed by the longest warranty in the business: 3 years. Automation, Centralized Power Control and Integrated Electronics Built on our legendary rugged chassis and components, Voyager offers an unparalleled number of adjustment points and power automation to simplify the purification setup. Programmable Logic Circuitry with a pre-loaded menu of up to 20 separation "recipes" means faster and simpler changeover between different products, and optimal separations from even the most minimally-trained operator no matter what your density separation, size separation or contaminant removal needs. 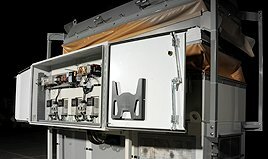 Fully integrated state-of-the-art Allen Bradley electronics simplifies installation and troubleshooting. Voyager's plug-and-play design and process automation make it a natural to integrate into the most complex plant automation strategies. The workhorse of the separation industry from seed to coffee and beyond. 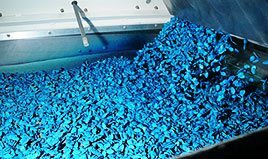 Our standard time-tested design offers simple adjustments and the opportunity for multiple upgrades to make even 20-year-old bulk density machines as productive as factory new units. Running capacities up to 15,000 lbs/hr. The highest capacity gravity table available in the marketplace. Complete with hydraulic adjustments and electronic controls, these units are capable of replacing multiple unit lines with a single machine. Capacities up to 42,000 lbs/hr. Our smallest precision gravity separator, built on the Hi Cap framework. Used in laboratories and universities worldwide for trial or research applications. Capable of upgrade to electronic controls. Ideal for separating large volumes of lighter material from smaller volume of heavy splits, flats or rounds, this purification process removes contaminants or comprised product for a significantly purer and higher quality end result. 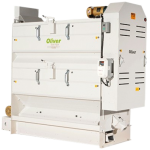 Active dust controls improve environmental conditions and make operating Oliver Destoners more comfortable. 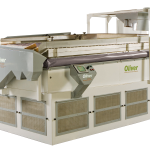 One of the most popular Destoners in the world, this is an efficient and durable machine for a wide variety of applications including coffee, beans, seeds and recyclables. 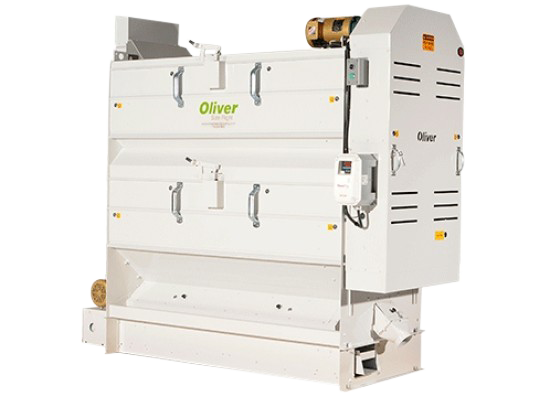 Oliver Fluidized Bed Dryers prevent product clumping, simplify cleanup and improve finished appearance of seed coatings and treatments while cutting dry time to a fraction. 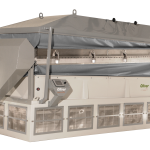 Drying solutions that reduce clumping & improved flow ability. 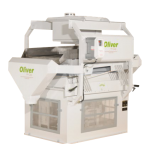 Our Fluid Bed Dryer is a revolutionary solution to the frustrations many processing facilities have for clumping and bridging of treated seed and edibles. 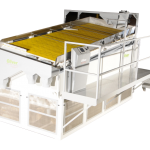 The Fluidized Bed Dryer uses a combination of air in motion through a vibrating, tilted table. 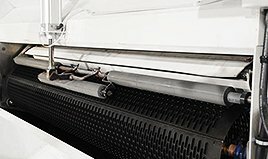 Seed flow is converted to a “fluidized” suspension, making gentle, uniform drying possible for coated, treated or washed seeds. 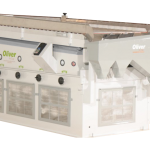 As a result of the automated technology, the Fluid Bed Dryer significantly improves the consistency, appearance and overall benefits of seed treatments. Allows operator to easily monitor and adjust all functions of the FBD. 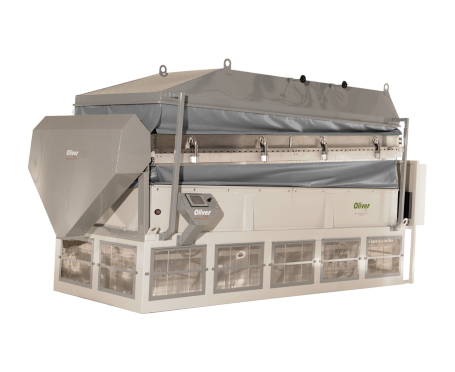 This includes a memorized setup for seed type, size, chemical formulation, capacity and easy cleanout. 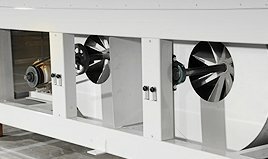 Fans allow air to lift seed off the deck at controlled temperatures. Fan speed is controlled with ambient or heated air, or a combination of both. A larger deck exposes a large quantity of seed to be exposed to a lot of air at the perfect temperature, resulting in the best quality seed with less biological damage. Ethernet control can integrate the FBD into the overall plant control system so it can be operated with minimal operator input and maximize the quality throughout the entire process. Single-tool adjustment allows fine-tuning for custom cylinder tolerance and easy mechanical access. CLICK HERE for cylinder maintenance information. All cylinders are protected behind optional quick release, auto-shutoff safety doors. 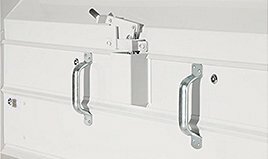 A hinge design option allows operators to lower the doors without removing them, resulting in a much easier cleaning process. Maintenance-free notched and timed Kevlar belt offers superior wear life over a chain or V-belt. Reduces the number of moving parts and eliminates leaky gear boxes entirely. Provides twice the support with notched cog and dedicated bearings at each end of the cylinder. These rollers push out lodged material that is not removed by the primary flapper cleanout. Pushes stuck kernels back into the overs fraction. Provides superior results, maximum throughput and safety compared to other designs. 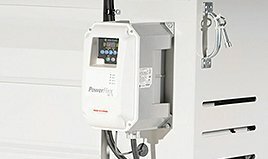 Allen-Bradley® PowerFlex® 40 VFD speed control provides a degree of sizing precision unlike any other sizer. 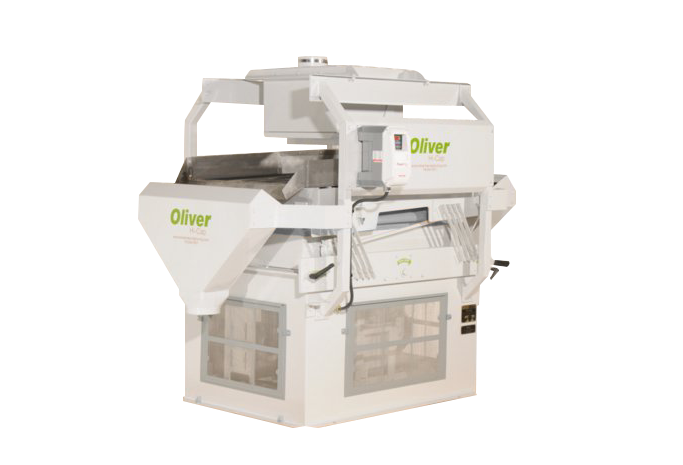 Includes digital display when switching between different seed types.